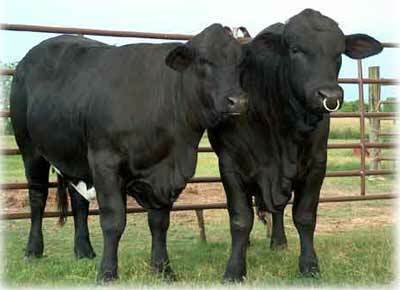 Beefmaster cattle were developed in the early 1930s by Tom Lasater. He crossed Hereford, Shorthorn and Brahman cattle. The exact mixture of the foundation cattle is not known, but it is thought to be about 25% Hereford, 25% Shorthorn, and 50% Brahman. Lasater's purpose was to develop cattle that would be more productive than existing breeds in the harsh environment of South Texas. The cattle were heavily selected on what has become known as the Six Essentials - Weight, Conformation, Milking Ability, Fertility, Hardiness and Disposition.